The suicide epidemic is prevalent across the nation. The problem is… no one wants to talk about it. 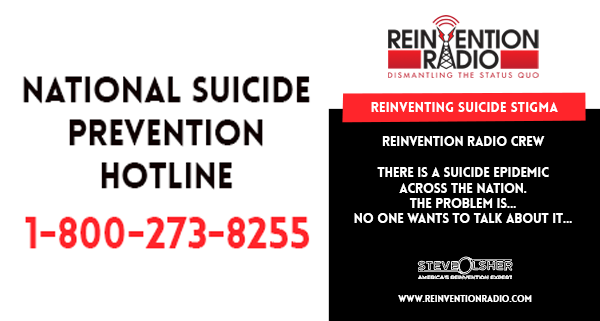 In this episode we talk with Marybeth who shares the story around the recent death by suicide of her boyfriend, Steve. And our own producer, Kelly, whose nephew took his own life only days before the show aired. Mary describes suicide as the equivalent of an emotional cancer. Is there really anything we can do to prevent suicide? How do we recognize the signs? How do we deal with the aftermath of emotions of those left behind? Let's talk about the stigma surrounding suicide and how we can help those plagued by this emotional cancer. Reinventing Living Lyrics – In this episode, Tiamo de Vittori chats with Steve, Mary and Richard about living lyrics and how he combines storytelling and music to create keynote concerts.